Ken Silverstein, one of the original authors of the network's coverage of Swiss investigation, reportedly fired after citing media bias. An Al-Jazeera reporter was fired last week for questioning the objectivity of the investigations surrounding the death of PLO leader Yasser Arafat, according to The Washington Free Beacon. The reporter was part of the network's investigative team into the death, which was controversially declared a "poisoning" by Swiss officials in October. Al-Jazeera has been one of the prime networks advocating the theory that the PLO leader was poisoned by polonium in 2004, and has been actively presenting the story with that bias since 2012. The reporter, investigative journalist Ken Silverstein, co-wrote the network's story about the Swiss investigative team which found the polonium samples. He was fired after refusing to fly to Paris to cover the French counter-investigation of the story. Those findings eventually contradicted the assassination theory. Silverstein had only joined the network earlier this year, but he is a fairly seasoned journalist; he left a long-term post at Harper earlier this year for the job. Neither Silverstein nor Al-Jazeera were available for comment. The Israel Project’s Omri Ceren, whose organization has criticized the accuracy of the Swiss report, said the circumstances surrounding Silverstein’s dismissal are problematic for the network. “These are exactly the kinds of stories that have the potential to do real additional damage to Al Jazeera and other outlets positioning themselves in the new media landscape,” said Ceren. The Beacon also notes that at least 22 reporters from the Egyptian branch resigned in July, citing biased reporting of the ouster of Muslim Brotherhood leader Mohammed Morsi. Buzzfeed reported last week that internal emails at the news agency revealed not only acknowledgement of the bias, but also discussion about paying widow Suha Arafat for her participation in the report. 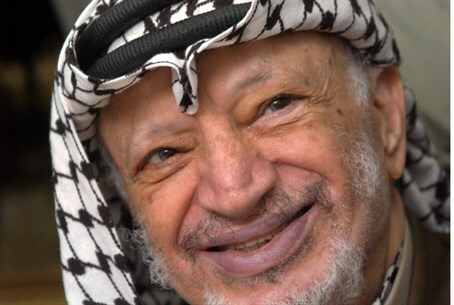 Arafat launched both a murder case and a political hullaboo when she used the original Al-Jazeera report to claim that the PLO leader was murdered, and has not died of natural causes. The network has worked extensively with her on the case ever since. Al-Jazeera has denied those claims. In the meantime, Suha has pledged to challenge the French findings, stating, "I will keep trying to get to the truth." Israel has repeatedly denied involvement in Arafat's death, citing inconsistencies in the Swiss and Russian reports and maintaining that "this is more soap opera than science."